Q1: How long can i get the custom cake toppers figurines after order online? 1, ships within 2-3 weeks, proofs. Usually you can exptect to get it 3-4 days after the delivery. 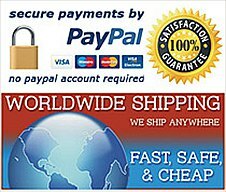 A2: Yes, for order value more than 500USD, we provide free DHL shipping Australia wide service. Ship within 3-4 weeks as defaut shipping method. A3: Yes, we ship international as requested, only if the destination city have DHL, FEDEX or EMS Express service. Q4: Do you use paint to color the doll? Q5: How much look like the photos? A5: Speak frankly, we have top-ranking craft in this field, but 100% the same are not possible for such handmade work, we think 70-90% similar are reasonable expection. Q6: How about the height and weight? Q7: What is the difference between standard custom cake toppers and bobblehead cake toppers? A7: Instead of a solid connection, its head is connected to the body by a spring, in such a way that a light tap will cause the head to bobble. Q9: what photos should i provide? A9: One clear enough front view photo is necessary for us to catch your facila features from, side view photo is optional, you can provide us side view photo to help made hair style and profile more exactly. You can also sent more photos as example to request us what hair style, facial expressions that you would like the cake toppers to be fashioned.